Specializing in personal coaching for road and mountain biking. Kristen Phillips started riding in 1999 and began coaching in 2004 as mountain bike instructor for Northern Arizona University. 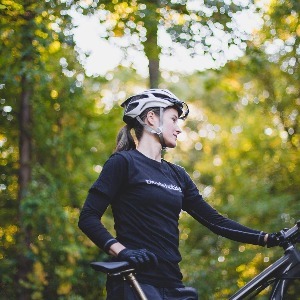 She raced for many years, working her way through the ranks from total beginner to racing regionally and nationally as a Pro cross-country mountain bike and Category 2 road cyclist. Kristen has been a USA Cycling Certified Coach and Registered Yoga Teacher since 2009. She has been a student of training metrics and methodology (including power) for over a decade. Her experience includes: running a race team in Arizona, working as head bike coach for a triathlon training program in Hawaii, and co-founding a successful women’s cycling program in NYC. A sense of dedication to the sport and ability to follow through on the training is required, along with a heart rate monitor and indoor trainer. Power meter strongly recommended. Success. Coach Kristen Phillips has been notified of your message.